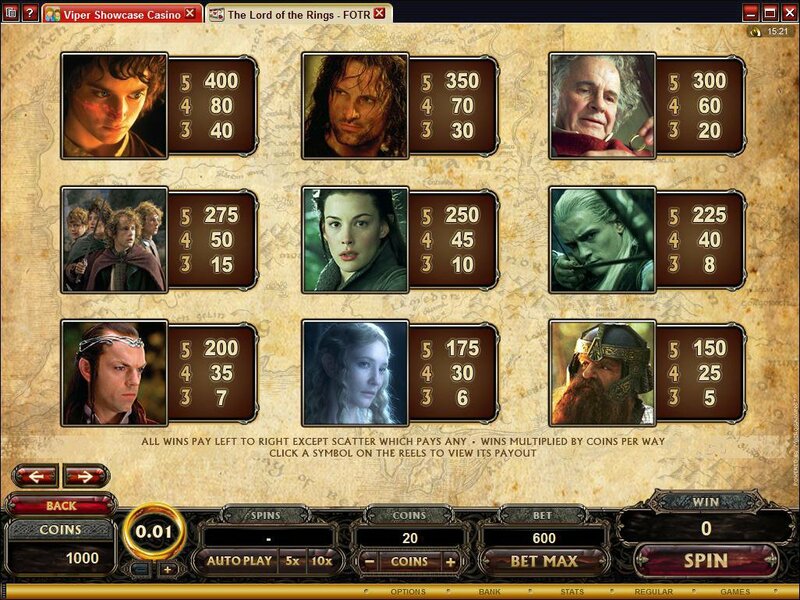 Overview: Introducing the eagerly awaited five reel cinematic online slot game, The Lord of the Rings: The Fellowship of the Ring. 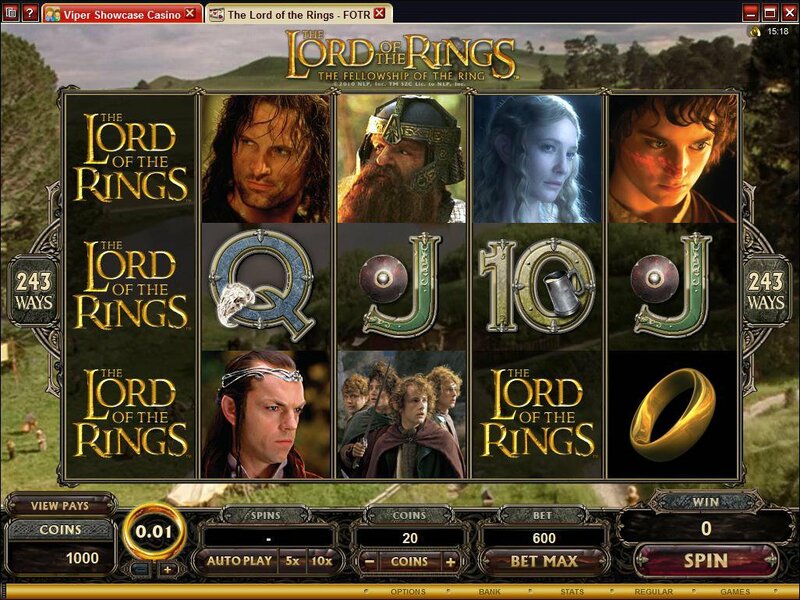 The game, which promises to be the biggest launch this year, offers players, a massive 243 ways to win, the famous The Lord of the Rings� characters and will be one of the most graphically rich, innovative and exciting online slot games to date. 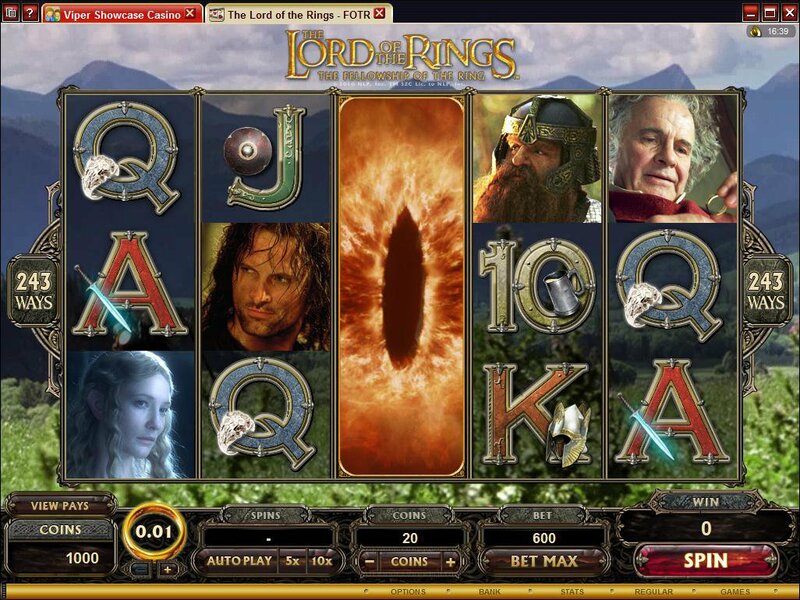 In the online slot game, players follow the Hobbit "Frodo Baggins" as he sets out to ensure the destruction of the Dark Lord Sauron. 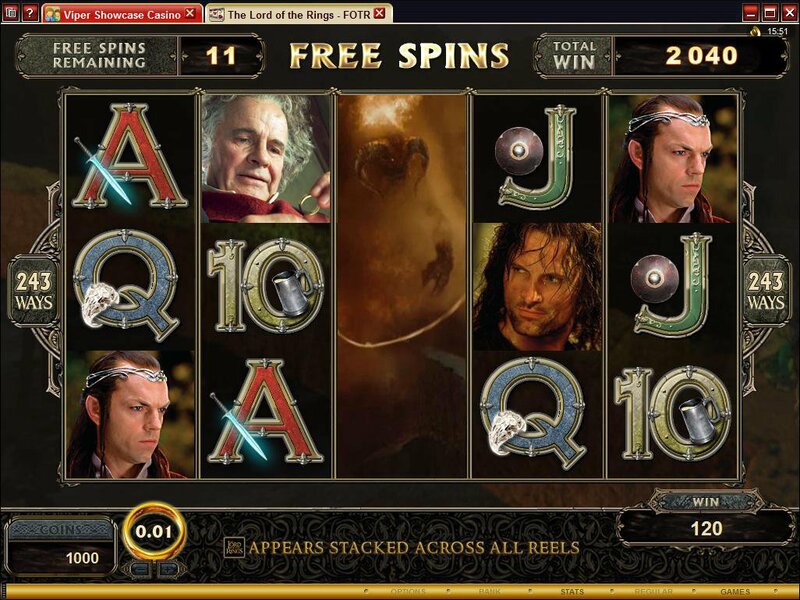 The five reel online slot will have unrivalled game graphics and include beloved characters from the film, such as Frodo, Aragorn, Saruman and the deadly Black Riders; along with some of the film's iconic footage, featuring Ringwraiths during the attack at Weathertop, Balrog in the Mines of Moria, and Uruk-hai in the woods of Middle-earth. 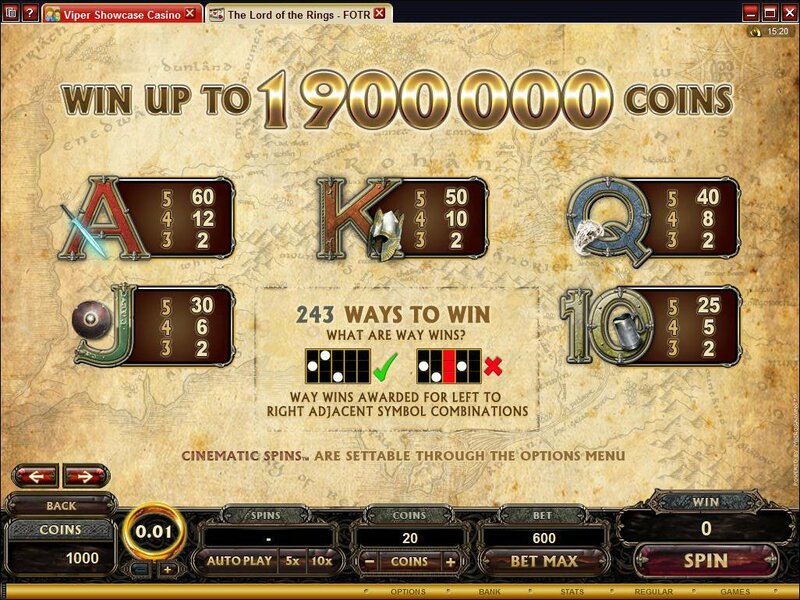 The online slot game has been created by Microgaming, the world's largest provider of online gaming software. 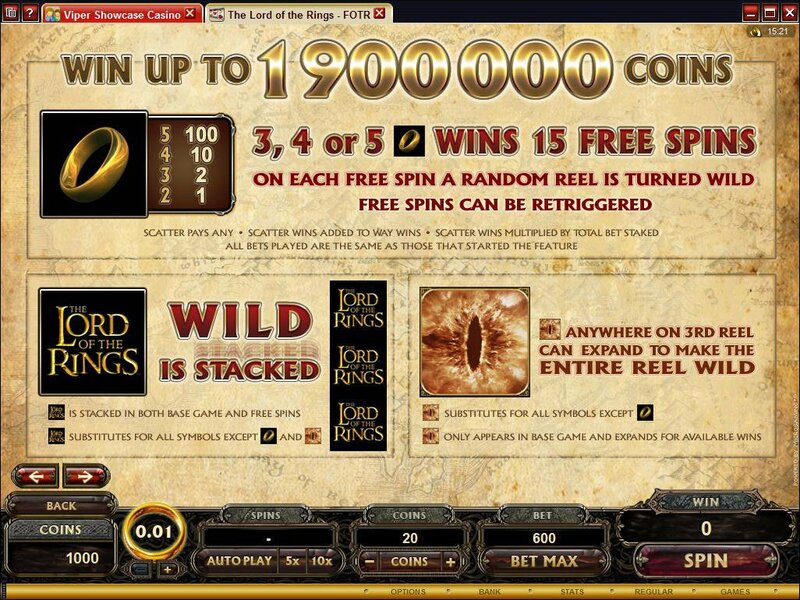 The Lord of the RingsTM game will be powered by Cinematic Spins� - a software program that allows movie clips to act as moving backgrounds behind the reels during spins. This offers players an unprecedented level of excitement and immersion. Win sequences and expanding wilds also make use of cinematic clips, instead of traditional animated graphics. ©2010 New Line Productions, Inc. All rights reserved. The Lord of the Rings: The Fellowship of the Ring, The Lord of the Rings: The Two Towers, The Lord of the Rings: The Return of the King and the names of the characters, items, events and places therein are trademarks of The Saul Zaentz Company d/b/a Middle-earth Enterprises under license to New Line Productions, Inc. 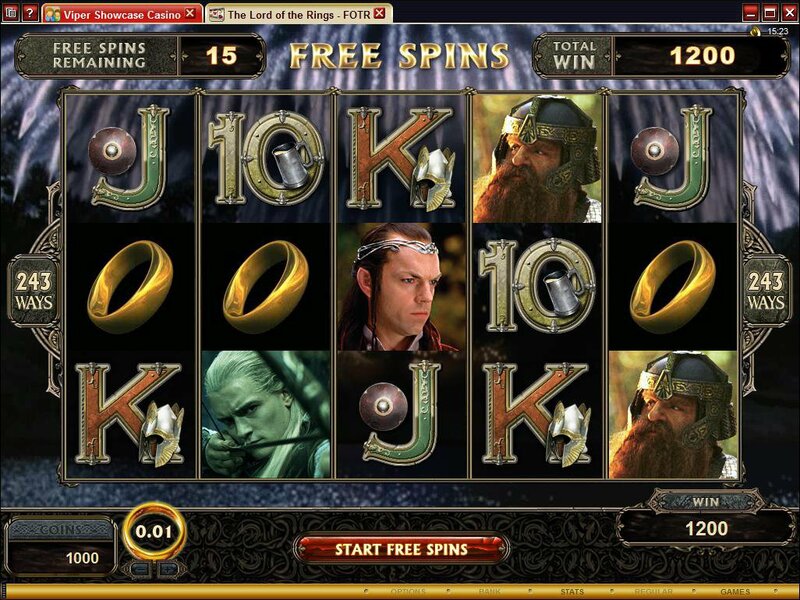 Similar Slots: If you like The Lord of the RingsTM - The Fellowship of the Ring, you might like these other 5-reel slot machines: Fat Lady Sings, Magic Spell, Tomb Raider, Tribal Treasure, Winter Gold, Wooly World.